Magic Roofing has always had and always will have an unwavering commitment to customer satisfaction. This is why we use high quality materials on every job. When it comes to siding quality, it does not get much better than Prodigy’s Insulated Siding. 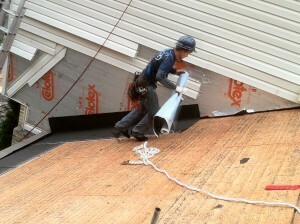 We offer Prodigy brand siding to our clients because of the strength of not only the product but the company as well. Delivering a comfort-controlled, all-weather protection Prodigy will keep your home well insulated while also providing superior protection from the elements. Prodigy Siding provides our clients all around New Jersey and Pennsylvania over 40 color options while ensuring a virtually maintenance-free product for the life of the siding. This product allows our siding firm to keep installation costs comparatively low when contrasted with other similarly priced products on the market today. Beautiful and durable siding from Prodigy can not only rejuvenate the curb appeal of your home but also protect your family’s largest investment from the hot wet summers as well as frigid icy winters common here in Mercer County, Burlington County, Hunterdon County, Somerset County and Bucks County in Pennsylvania. If you are looking for quality siding installation service from a reputable siding contractor in New Jersey or Pennsylvania, call 888-314-2793 today or fill out one of our contact forms. We look forward to earning your business! Click HERE to see the Prodigy Brochure and see how this state of the art siding can benefit your home!